Last night I attended the Giants vs. Rockies game at AT&T Park. I have been on a health kick lately, trying to eat a clean diet, but was worried when I went to the game that that wasn't going to be possible. Who can say no to hot dogs and nachos? As good as the Gilroy garlic fries and hot dogs smelled, I managed to fight the urge and made my way down to The Garden. I’m always surprised by how many Giants lovers are unaware of this gem. 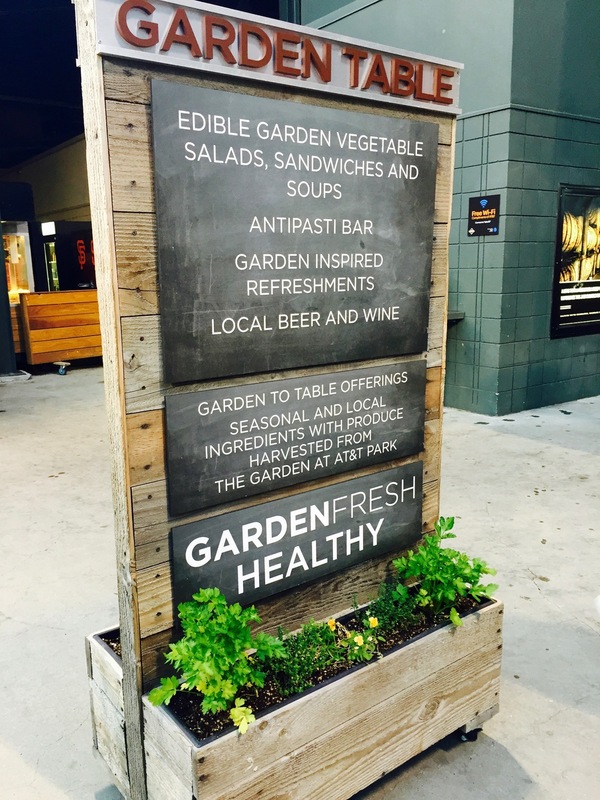 In the summer of 2014, AT&T Park opened up an edible garden behind the center field wall. The 4,320-square-foot patch of garden features both raised beds and aeroponic growing towers, which use 95% less water than conventional growing methods. Fun fact: the garden is fertilized with coffee grounds provided by Peet's! On top of that, The Garden has become an outdoor classroom for children of nonprofit organizations in San Francisco, with the goal to educate younger generations about a healthier lifestyle. The Garden offers a variety of fresh salads, delicious flatbread pizzas, and a selection of tasty desserts and treats. My favorite is the cauliflower flatbread and their arugula and shaved Parmesan salad. The Garden’s amazing food is paired with a beautiful bar area, complete with tables, chairs, and fire pits. It’s hard to believe you are at a ball game with the ambiance in center field. 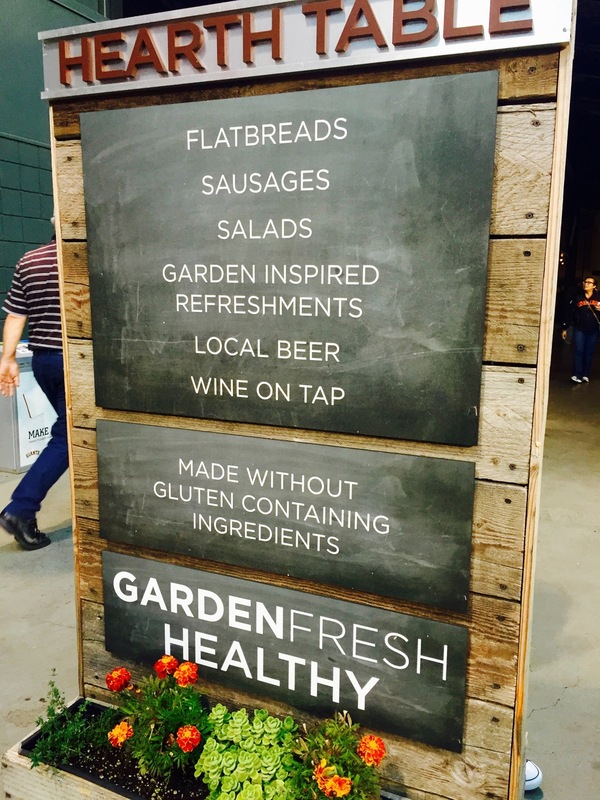 Be sure to check out The Garden next time you are at AT&T Park and follow their fabulous twitter and instagram accounts!